Thermoelectric cooling Operates on 110/220V. 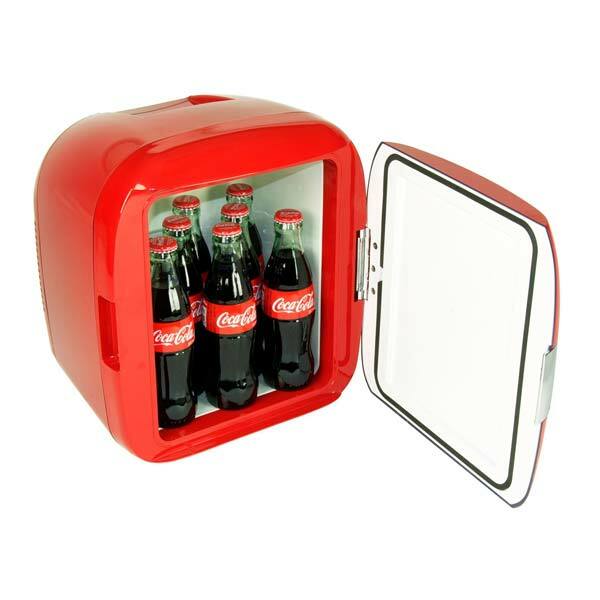 No ice required to keep food and beverages cool. 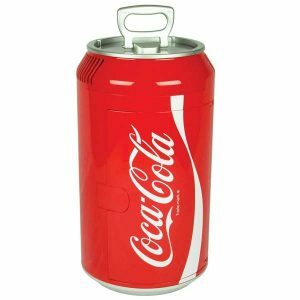 Capacity holds up to 11 cans. 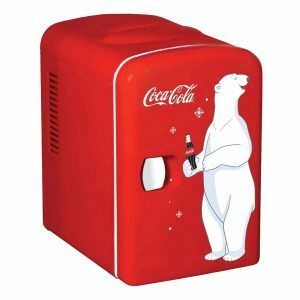 A retro coca-cola mini fridge perfect for those who collect merchandise. Cools up to 32 degrees Fahrenheit /20 degrees Celsius below. Plug into any household outlet. 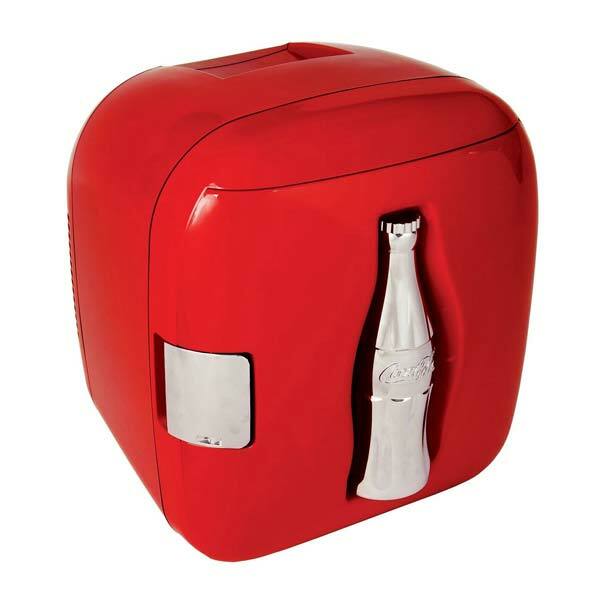 Special edition koolatron coca-cola cube cooler.